During the Conxemar fair on 7 October, ARVI, a Spanish fishing ship-owners cooperative based in Vigo, announced that it was joining Blue Fish, the European Association for the Promotion of Sustainable and Responsible Fisheries. 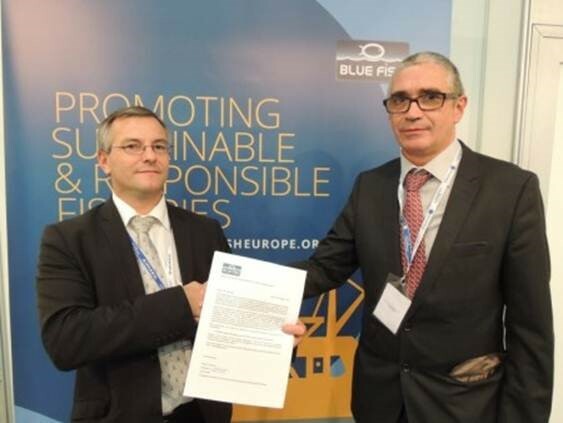 Blue Fish also took the opportunity of the Conxemar Fair to sign its first partnership for a European project. Blue Fish, together with ARVI as its industrial partner, will apply for the European Commission Life 2014 project on ‘Environment and resource efficiency’ to carry out comprehensive research on fisheries stocks. Life 2014 supports environmental, nature conservation and climate action projects throughout the EU. If Blue Fish’s research proposal is successful, 60% of the project will be supported with European funds.